Mastering Western Rivers & Lakes, to be held February 25 & 26, 2012, at the Hilton Garden Inn, in Issaquah, WA. Saturday’s focus will be on rivers: all the major hatches of mayflies, stoneflies, caddisflies and midges will be discussed along with the most effective patterns and tactics. Sunday’s class covers similar information for fishing lakes with mayfly, caddisfly, dragonfly/damselfly, midge and leech behavior, patterns and tactics covered in detail. 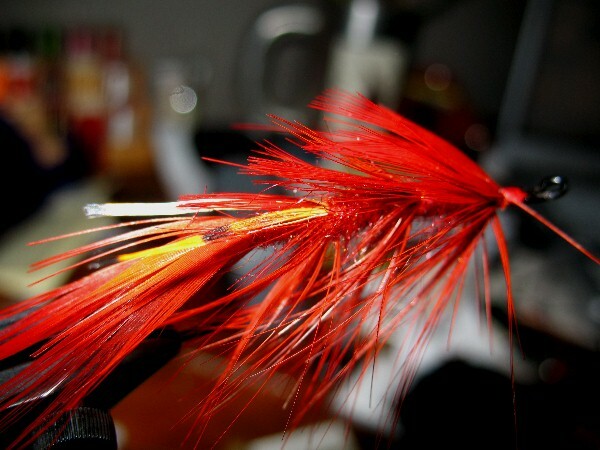 Skip will also be demonstrating tying techniques for some of his favorite stream & lake patterns. Club members are being offered a special reduced cost for this workshop: $125 (reduced from $145) for both days, or $70 (reduced from $80) for one day. For more information and to register go to: hookednow.com/events. To receive the club discount you must enter the registration code - FCM - where required during registration. This workshop will benefit both beginner and experienced fly fishers. Class space is limited and pre-registration is required, so sign up today for this great opportunity to get a leg up on the 2012 season. Skip & Rick also want to thank the Creekside Angling Company (stores in Issaquah & Seattle) for their support of this workshop. 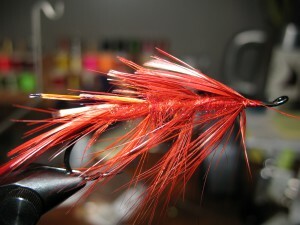 Popsicle Fly from Tightline Productions on Vimeo. "Home" Fall Steelhead Fly Fishing from Evolution Anglers on Vimeo. 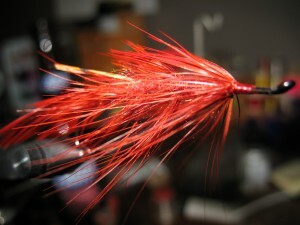 Pinx Fox Steelhead Fly from Dimitri Gammer on Vimeo. During 2011 a variety of educational opportunities were provided including four fly tying classes (2 beginner and 2 intermediate), spey casting and an all-day trout and steelhead clinic in Forks. 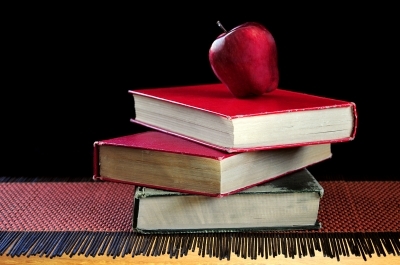 this post so we can include your ideas in our 2012 education planning. November's program will feature Doug Rose and his presentation will be " The color of winter fly fishing for winter steelhead on the Olympic Peninsula"
Doug is outdoor writer and a fly fishing guide based out of the Olympic Peninsula. - The color of winter- fly fishing for winter steelhead on the Olympic Peninsula. - Fly fishing guide to the Olympic Peninsula-a fully revised edition. Doug also writes for several outdoor and fly fishing magazines. Doug lives in Forks with his wife Eliana and their black lab Ruby. This will be an interesting program, hope you all can make it. This month’s fly is a somewhat challenging fly to tie, but since we are heading towards the end of the year, I figure everyone is up for the challenge. The General Practitioner is a very well-known fly, but misjudged. When asked to name ten classic salmon fly patterns, I bet the General Practitioner would be on more than one person’s list. While this fly suggests a sort of Dee style fly, its origins are far from what most would call a classic salmon fly. In fact the only real commonality is that this fly was intended for Atlantic salmon. The General Practitioner was created by Colonel Esmond Drury in 1953 (not the 1800’s). It is a model for most of today’s shrimp imitation patterns, and for good reason. Apparently Drury created this fly after his favorite salmon river’s regulations were changed, forbidding the use of prawns. Originally tied on a smallish salmon hook, GP’s are fished on a range of hook sizes, and in many different colors. I am not going to go over every step to tying this fly, I am not sure I could do it in less than 2 pages. I will however, offer advice. For your first GP, I would suggest taking things slowly. Go online, get a good book, and follow along with the instructions. Lay out all of your materials beforehand so you have them ready to grab. This means clip your pheasant tippets and get them exactly how you want them. When you are tying your fly, do it sections. Tie in your tail, make a half hitch, reset yourself, tie in the back section up to the first set of eyes, or shellback, half hitch, reset. While you are “resetting” look at what you have just done, adjust it and make it just the way you want it before you get too far ahead of that section. You will be surprised how much this technique helps. Another tip for the head of your fly is to smash flat the stem of your final shellback. This makes it easy to tie in and also makes for a smoother head. Come join other SSFF members on Saturday, November 12th, between 10 AM and noon, for a river clean up outing on the Nisqually River. The focus will be on removing discarded fishing lines, hooks, lead weights and related packaging from the river bank and shallow water in the vicinity of the WDFW handicap river access. Garbage bags and nitrile gloves will be provided. Bring heavier gloves if you wish. A pocket knife for cutting tangled fishing line from branches and logs would be helpful. Following the cleanup, join other members at Norma’s (Martin Way near the Nisqually exit off I-5) for lunch.